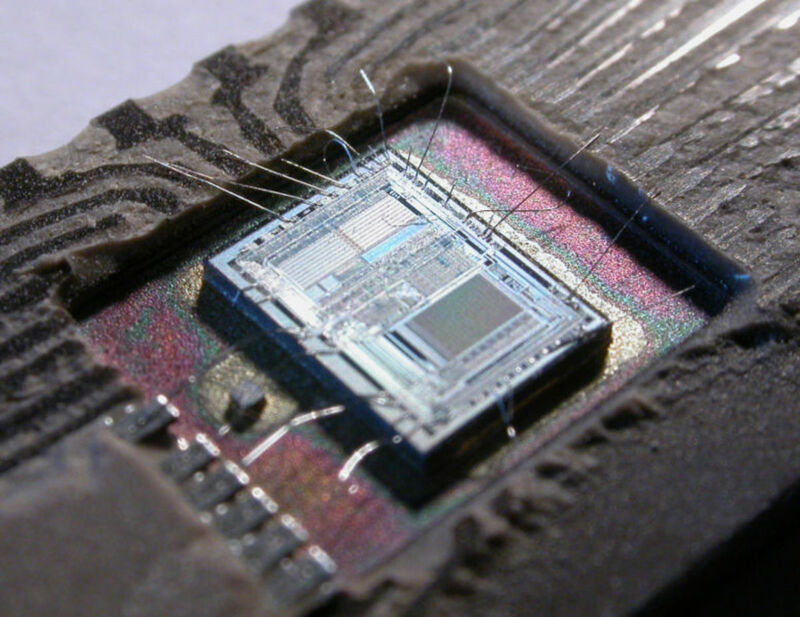 All microcomputers use a processor called a mirco-chip. This is typically a small square sliver of silicon (glass) with pathways etched on it via a chemical process. These pathways can be transistors or simply "wires" that connect the transistors. If you can pack enough of these transistors on the silicon "die" then those transistors can become a processing unit, memory, and a calculator. The entire thing is called an "integrated circuit." In mid 1974 Intel, a transistor and memory chip manufacturer, came up with the first successful "computer on a chip" design called the 8080. It ran at two (2Mhz) MegaHertz and performed computing functions via an eight (8) bit1 Central Processing Unit (CPU). The 8080 had a forty (40) pin design that allowed for a sixteen (16) bit bus. This was the improved version of the 8008 which had been designed for Computer Terminal Corporation (CTC). Because the 8008 did not meet CTCs performance specifications the 8080 was developed, but by then CTC was using their own chip. Intel found a home for the 8080 in the Altair (see below). In 1975 MOS Technology developed a similar chip to the 8080. The designer was Chuck Peddle of Motorola and his idea was to design a chip that was compatible to the Motorola 6800, but considerably cheaper. Initially there was little public interest because it was so cheap (at $25 compared to Intel's $179) that no one took it seriously. Fortunately, both Intel and Motorola did take it seriously, dropped their prices to under $80, and in the process made the 6502 attractive. This was the first chip used in the Apple and Commodore computers. 1 A bit is the smallest unit of data measure on a computer. It represents a "switch" position of "on" or "off." Eight bits is a byte. A single character such as "A" takes up a byte. What might be under that "gold" cover. 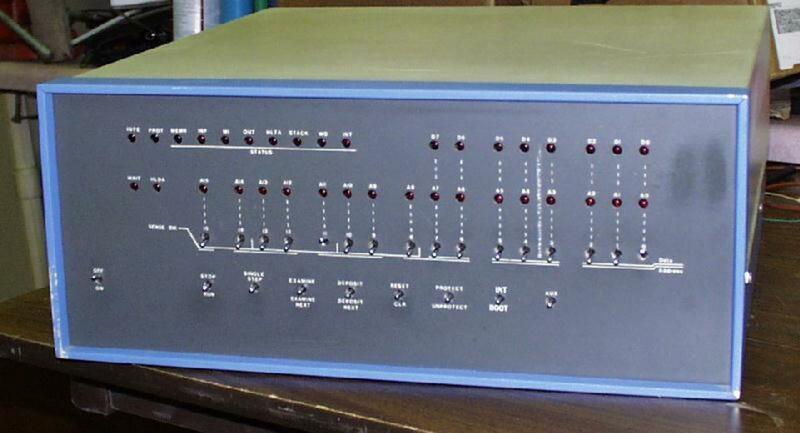 The Altair 8800, produced by Micro Instrumentation and Telemetry Systems (MITS), and invented by Ed Roberts, was originally sold as a kit. 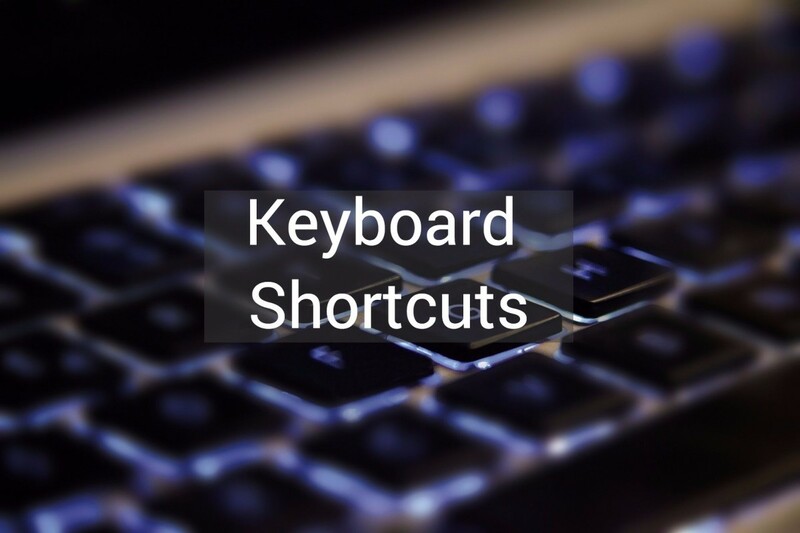 It had no operating system, but did recognize commands entered via a row of switches. 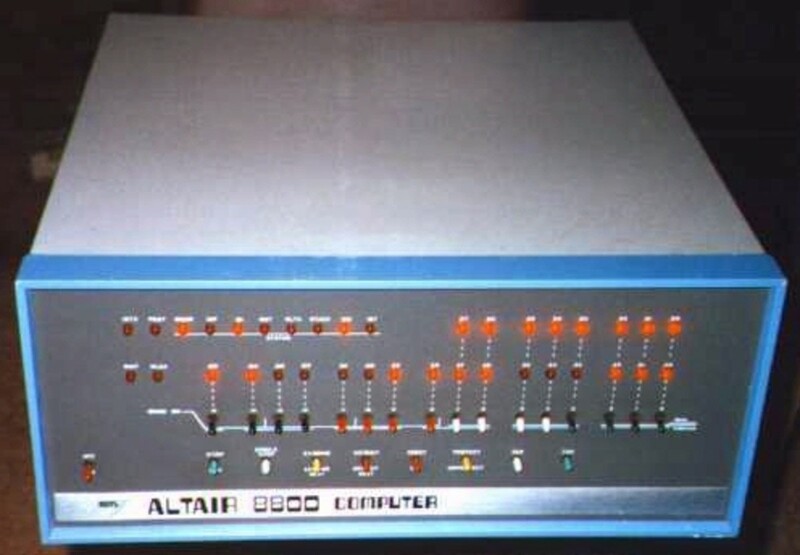 The Altair had no keyboard and could not be connected to a television screen. The original intent of the Altair was as an offering to a wider range of hobbyists than the usual MITS customer. Up to this time MITS had been devising kits geared toward back-yard rocketry. Radio Electronics magazine, at the time a competitor to Popular Electronics, was publishing a large number of "how to" articles on the building of digital multi-meters, voice transmitters and the like. Popular Electronics wanted to beat RE at their own game by being the first to publish a complete "how to" on a home computer. To do this Popular Electronics asked MITS to create a complete computer kit2, with all the parts included, along with a sleak and eye pleasing case. 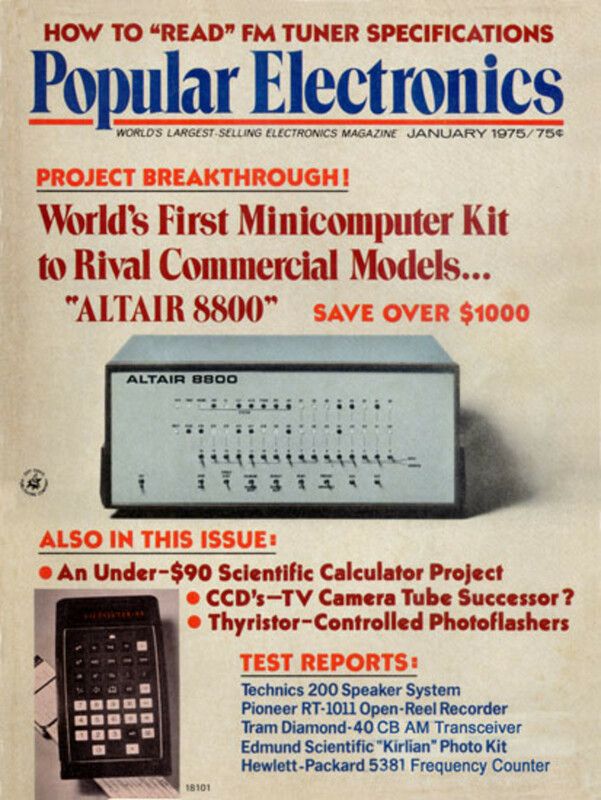 MITS complied with the RE-8, but Popular Electronics Alexander Burawa (associate editor), and John McVeigh (technical editor) came up with Altair as an alternative name. The Altair was an idea presented to the public at just the right time. By working a quantity discount with Intel for $75 a unit for the CPU and the fact that a wealth of engineers had been required to take FORTRAN or BASIC in college, there was a ready market of potential buyers. Popular Electronics announced the kit in December 1974 for the January 19753 issue. By the end of May 1975 MITS had sold 5,000 Altairs. A kit sold for $439 a fully assembled computer for $621. 2 Up to this time a kit was a printed list of required parts and perhaps a circuit board. The builder was expected to find and buy his/her own parts. 3 Note that by the time the Altair was actually sold the computer had gone through a design change. The cover photo and actual computer are quite different. With the obvious "hit" of the Altair, Intel, MOS Technology, and Motorola saw an opportunity to sell larger numbers of chips. 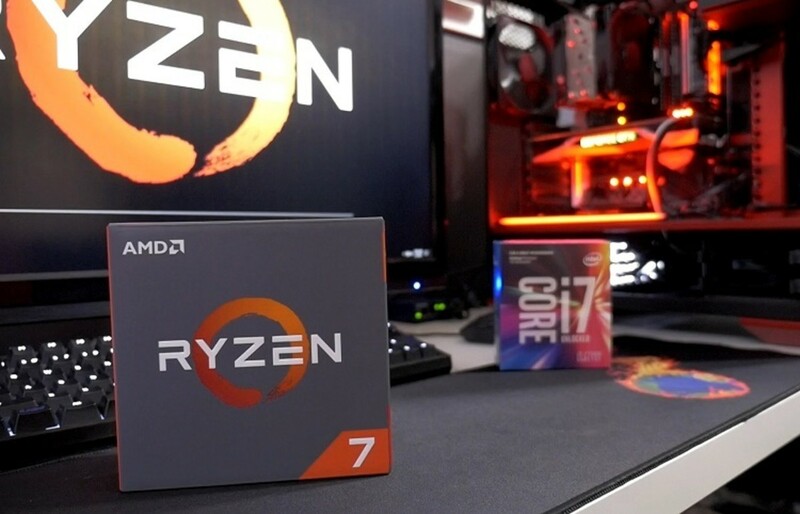 Intel and MOS Technology dropped their prices to well under $100 per unit. Motorola raised it's prices slightly due to the popularity of it's chip. 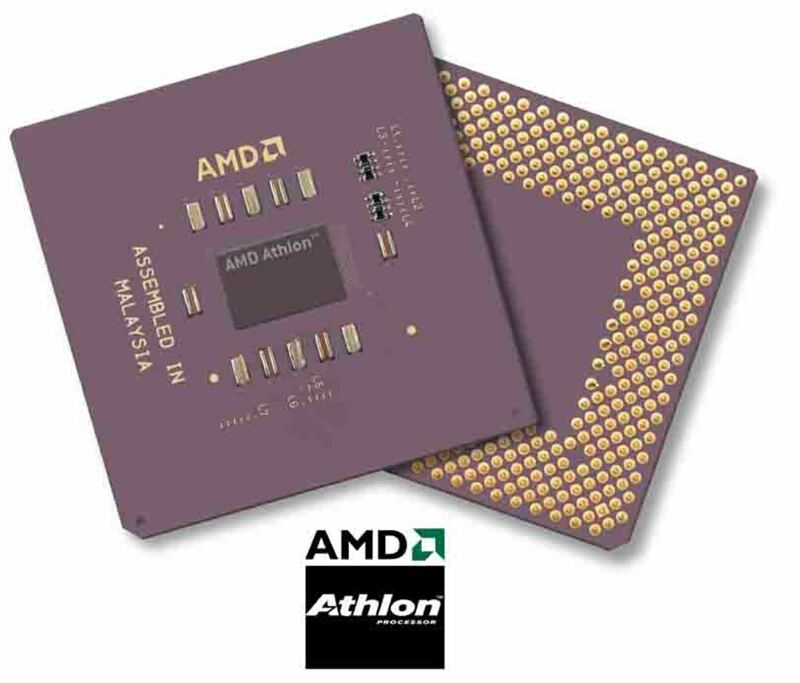 In four short years there were computers based on all three microprocessor designs being marketed by an ever increasing number of manufacturers. Apple, Commodore, Texas Instruments, and Radio Shack (up to then a supplier of leather hobby kits and component electronics) all got into the act with similar versions of microcomputers designed primarily for the curious. At this time the black and white television was used as a display screen (since none of the machines produced color images) and keyboards were widely available. 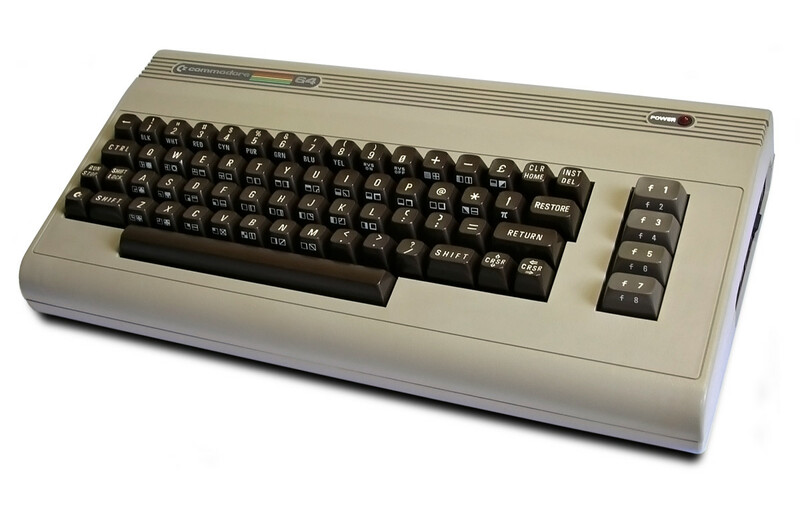 Commodore actually incorporated all of the peripheral circuitry in it's "fat" keyboard case. No one was including a mouse, graphics, or the software necessary to use either. Many machines included the BASIC language by Microsoft; however, Microsoft didn't even have an operating system at this time. Because these intial models sold so well (the Commodore was the best selling Microcomputer of the seventies) the manufacturers continued to make strides in speed, power, and functionality. Rather than ask the consumer to supply the television set, manufacturers started building them into the unit. 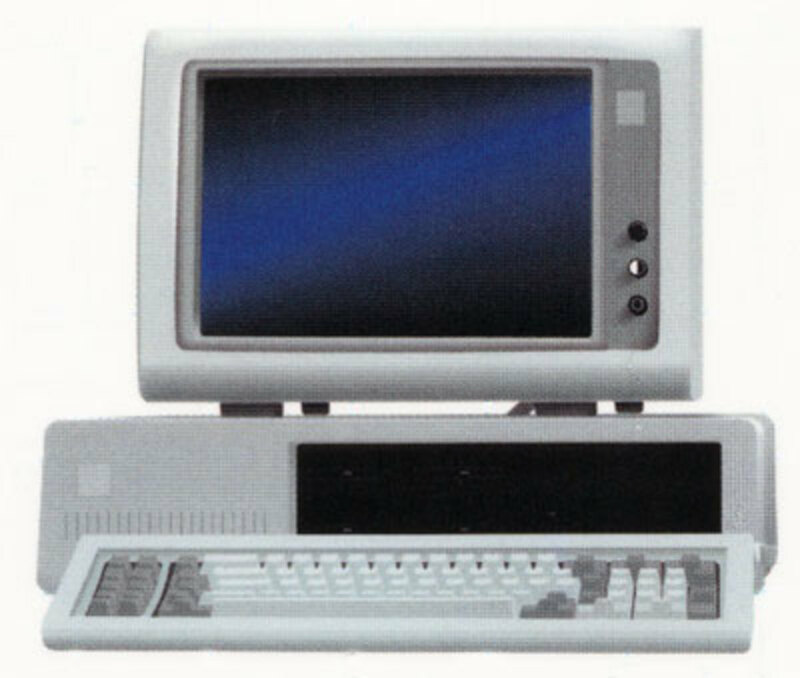 Professional design began to appear with sleek looking cases that often integrated the display and keyboard into the same enclosure for the computer. 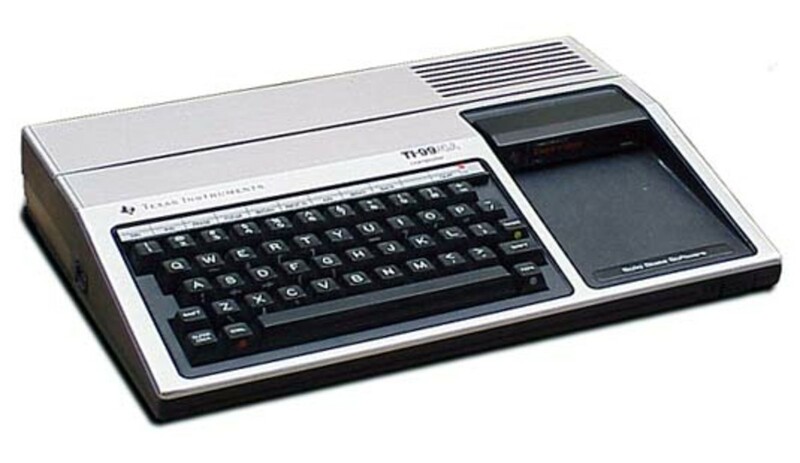 Tandy Radio Shack produced the TRS-80 (affectionately named the Trash-80) Model One. 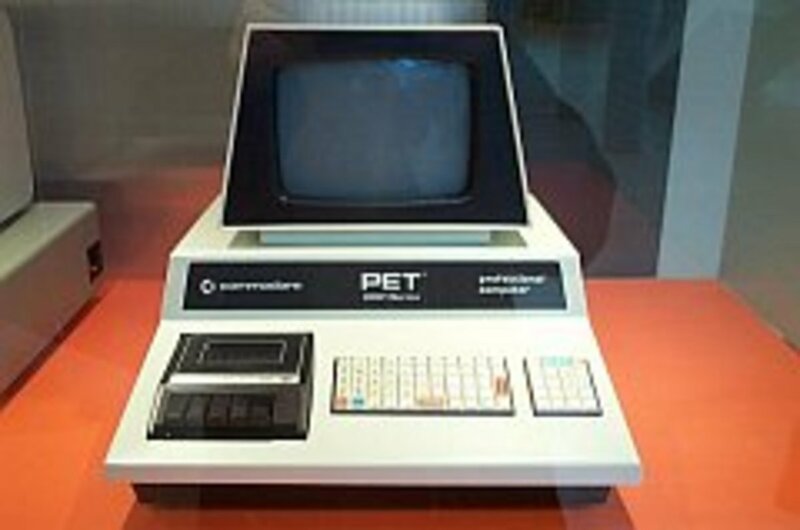 Commodore introduced the PET, and Bill Godbout of California created the CompuPro. All of these computers ran Control Program for Microcomputers (CP/M) developed by Digital Research. 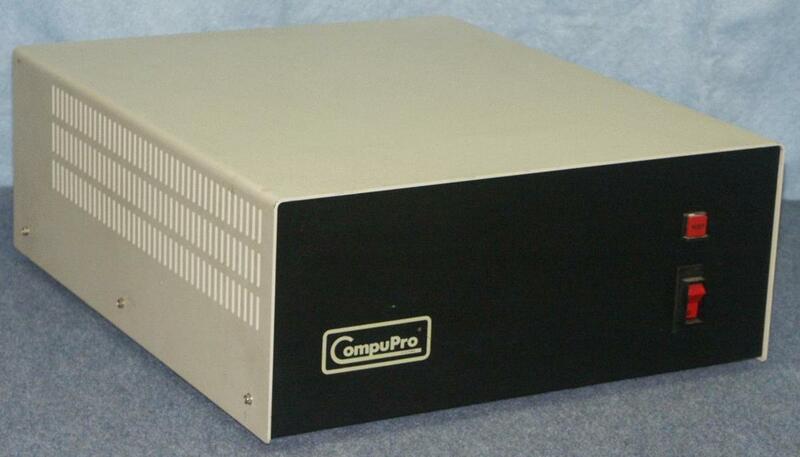 The CompuPro used a slightly different architecture for their computer. A "dumb" terminal and keyboard were attached via serial connections. With this arrangement the computer could act as a "miniature mainframe" and with the release of Multi-user Program form Microcomputers (MP/M), the CompuPro could support four users simultaneously. These machines were targeted to the small business owner/operator. Because Tandy management was unsure of how many of the model one they could sell they initially ordered only 3,000 units. This matched the number of stores then operating in the United States, thus the plan was to make terminals of them if they failed to sell. 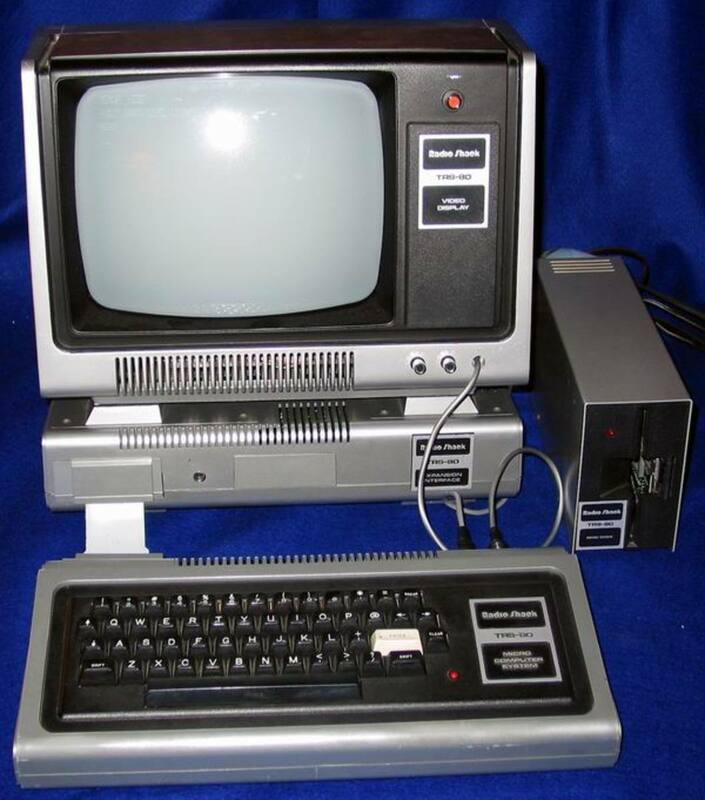 This was the most expensive product Tandy had ever offered at Radio Shack at roughly $1,000 per unit. Management had little need to worry; ten thousand units were sold the first month. A total of fifty-five thousand units were sold in 1977 alone with over two hundred fifty thousand selling by 1981. 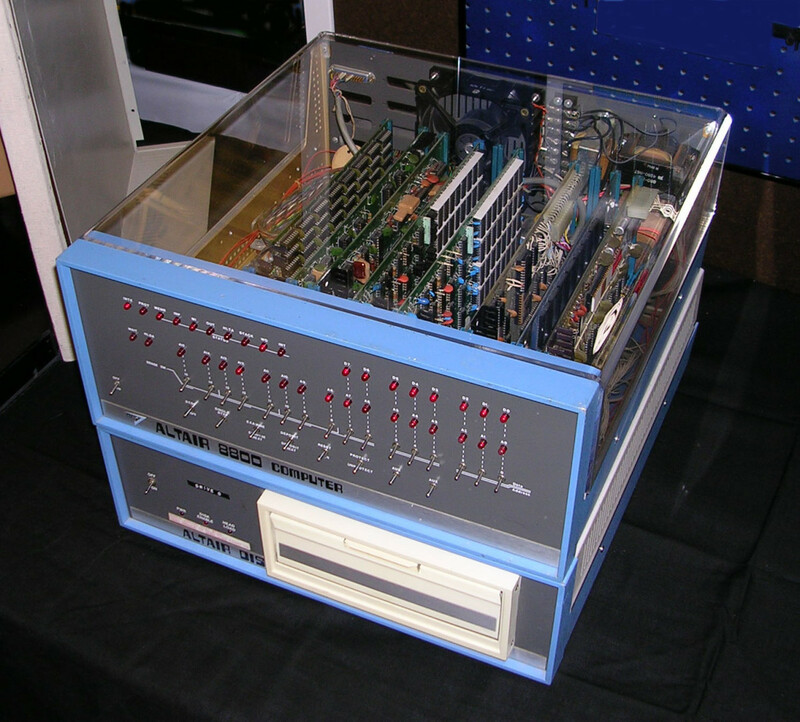 This prompted Radio Shack to build a second generation microcomputer called the Model III which was even more business friendly and fully integrated all components into one case. 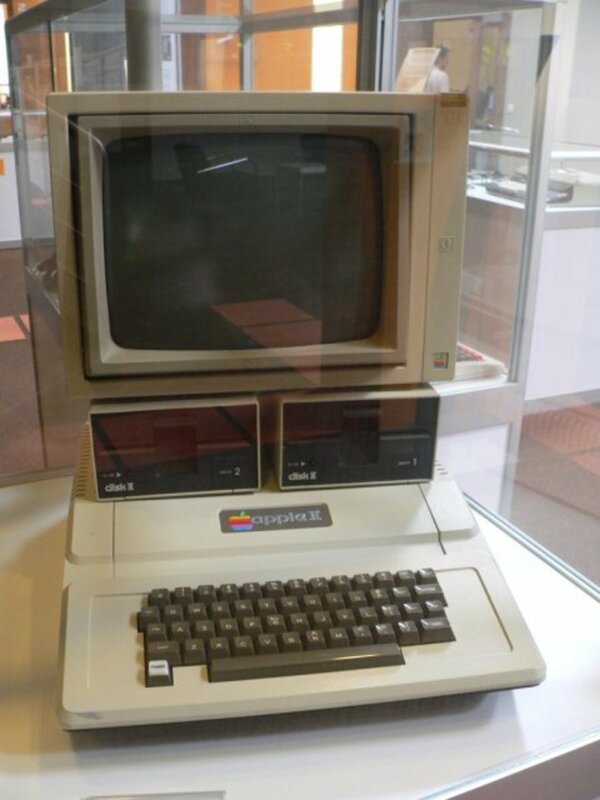 In the meantime Apple introduced the Apple II complete with monitor, floppy disc drive, and keyboard. This was a considerably more polished looking machine than the mock-up pictured above. At this point in time there were still no graphics (Windowed Operating System) or mouse. Up to now there was a lot of speculation about whether or not the major computer companies were going to get into the act. 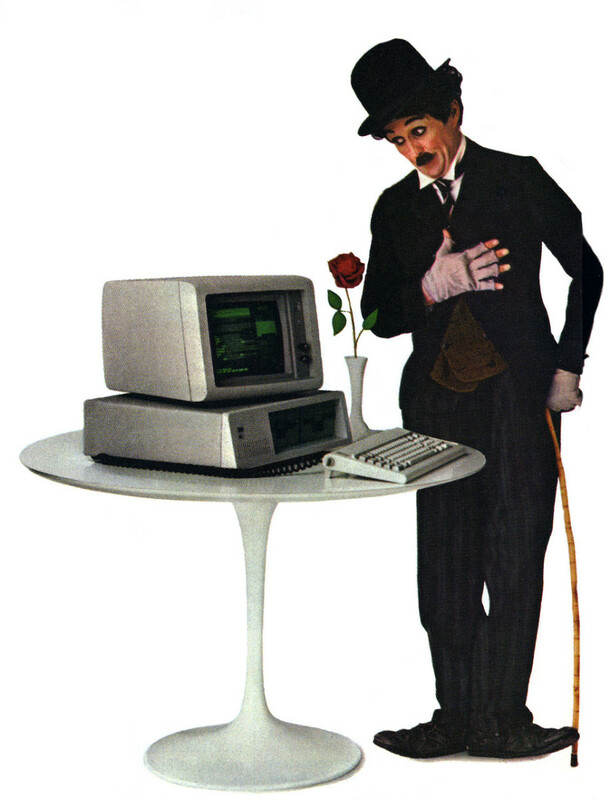 Also, by this time, Dan Bricklin had developed Visicalc for the Apple II. More and more people were seeing the power of a "personal computer" (though "microcomputer" was still the common term) the units were making their manufacturers a tidy profit. 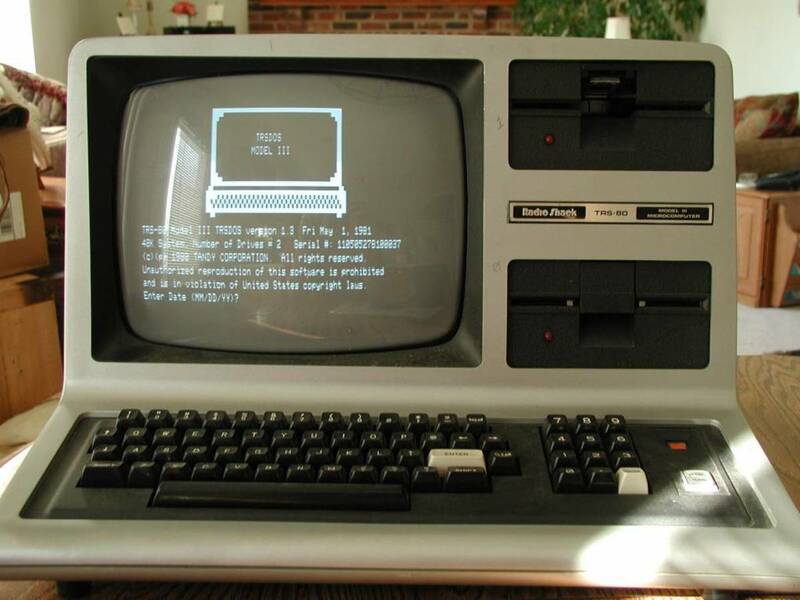 Visicalc was so popular Briklin "ported" the program over to the Commodore PET and the Radio Shack TRS-80. On August 12, 1981 the shoe finally dropped. IBM announced the introduction of the Model 5150 thereby stepping into the microcomputer market and shaking the industry to it's foundations. Though the term "personal computer" was already in use, at the time it was synonymous with "microcomputer." 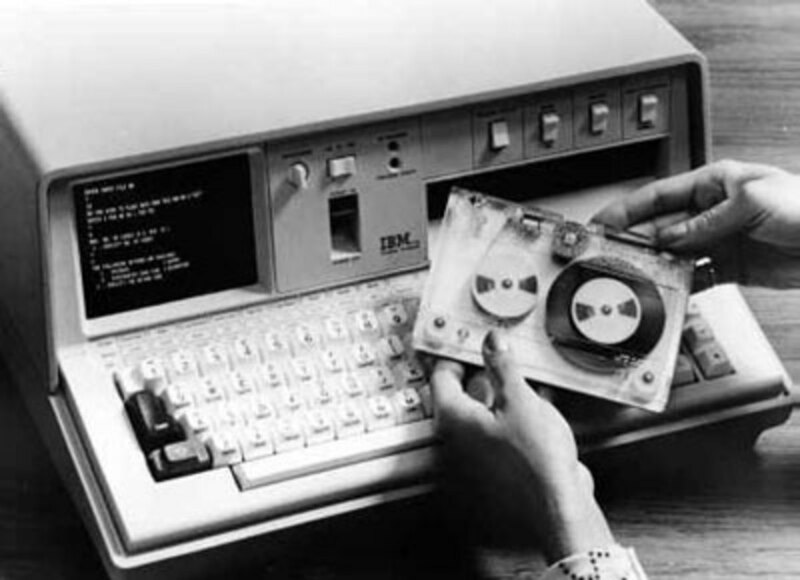 IBM, wanting to differentiate this microcomputer from their larger products began using the term personal computer in their advertising. 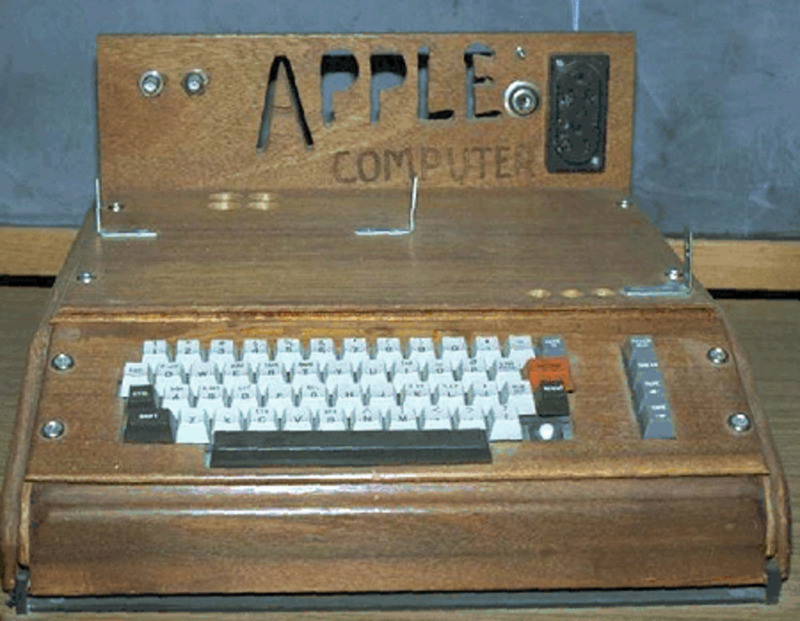 The PC also convinced ever larger numbers of consumers that the microcomputer really was a viable product (after all IBM wouldn't offer one if it was a toy) and, though it was never a big hit with the home consumer (at $2,880 per unit), with the advent of Lotus 1-2-3* the model took off with business. By 1984 millions of units were being sold. At this point there are still no business oriented graphical computers. The mouse is still an idea relegated to the laboratory and color has yet to reach the computer screen. * Dan Briklin was advised against trying to patent Visicalc at the time and Lotus was the first Visicalc "work alike." Dan didn't earn one cent from Lotus Corporation even though 1-2-3 was the same type of program that Visicalc was. Mr. Ed Roberts died on April 1, 2010. He was the inventor and creator of kit calculators and computers. He is credited with creating the first personal computer, the Altair, for MITS. This computer is mentioned above. Bill Gates and Paul Allen joined MITS to help create a programming language platform for the Altair. 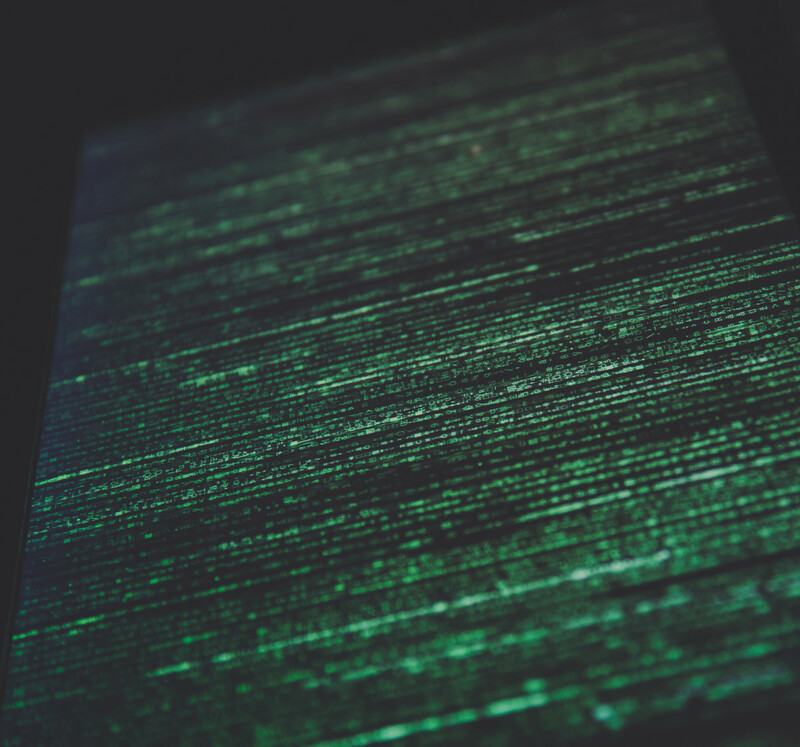 It was called Altair BASIC (Beginners All-purpose Symbolic Instruction Code). Of course we now know of Mr Gates and Allen as the founders of Microsoft. After the success of the Altair Ed Roberts retired to Georgia where he earned a medical degree and spent the remainder of his life practicing medicine in Cochran Georgia. On April 1, 2010 Ed Roberts died of pneumonia. He was sixty-eight. 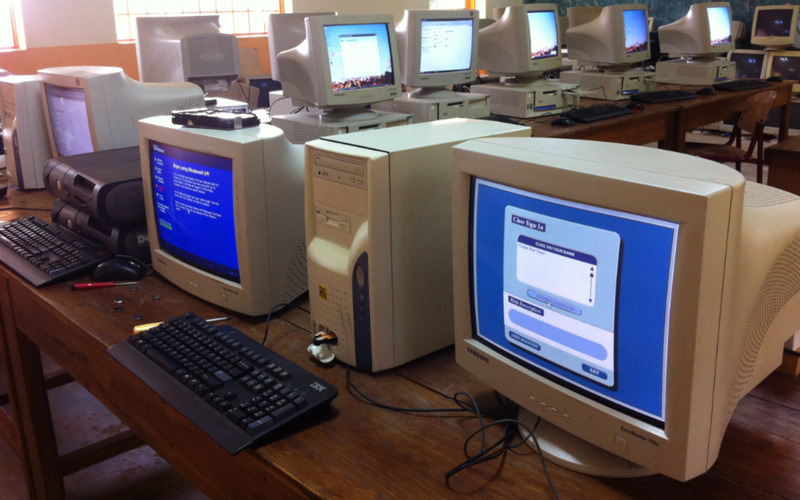 easylearningweb: I had replied to you about a year ago with a new Commodore called the Phoenix. Guess they decided against the new case design and went back to the old one. So the new Commodore will look like yours, but run an Intel Atom 525 processor, NVIDIA's Ion2 graphics processor, 4GB of DDR3 RAM, a 1TB hard drive and, an optional Blu-ray drive for data rather than a cassette tape player. 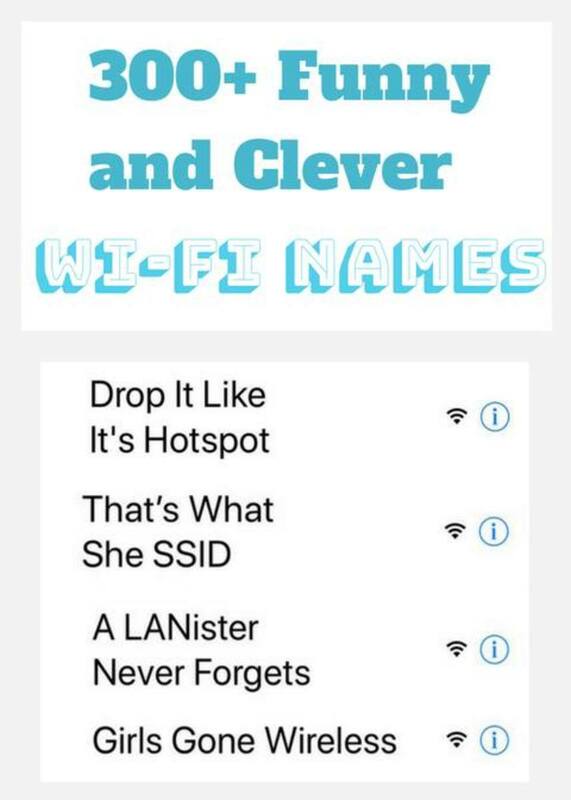 Cool hub. I still have my first computer, a Commodore 64 (saved for archives). I am fascinated with computers and technology. We have similar hubs (Office 2010). cpu2: Sorry for the long delay (15 months). I'm not sure who is right about this. I suspect that you are. I've changed the article to reflect that. We have come a long way since the first microcomputers. ! I don't believe the early 6502 Commodore and Apple computers used Microsoft's basic. However, IBM did use it in their PCs.